Although less than ideal driving conditions, frigid temperatures and slippery walkways make winter a lackluster season, there is at least one redeeming quality for folks to look forward to: Ski and snowboarding season. Skiing and snowboarding are two of the most exciting hobbies that people can partake in; offering a rare combination of speed gradual challenges that few sports can provide. Skiers all start at the same place, the “bunny hill,” before developing better techniques and graduating to more advanced (and fun) hills at a ski resort. Another wonderful aspect of the sport is going on a ski trip with family and/or friends, or simply going individually for a peaceful escapade. Ski trips are always memorable, as skiers can embark on a new adventure to either a ski resort that they haven’t yet tried, or return to an annual destination that has become a tradition. Additionally, the trip provides skiers with an opportunity to unwind with loved ones, and share experiences of the different challenges they encountered while on the slopes. Uncle Billy Bob’s vacation rentals are an advantageous place for skiers to stay. 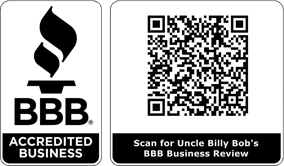 In addition to offering superlative service, Uncle Billy Bob’s also offers a tranquil atmosphere and trailer interiors that will make you feel right at home. It is a wonderful place to unwind at after a tremendous and tiring day on the slopes. However, and perhaps best of all, Uncle Billy Bob’s is conveniently located near four ski resorts. The two closest are the Tamarack Resort, which is just an hour away, while the Bogus Basin is about a 90 minute drive. Additionally, Brundage Mountain Resort is two hours away, while Sun Valley is about a three-hour drive (provided roads are open over Galena Summit). Staying at Uncle Billy Bob’s provides skiers with an economical central location that has access to four outstanding ski resorts. If you have any questions, please don’t hesitate to contact us.